This week on The Daily Life of Frank: · Frank discussed the unofficial end to Summer, festivals, poor Naperville, and recounts his daughter encounter with a giant Hotdog from last year’s Fling · Its fantasy football draft season, and his bandwagon College football team · His trip to Cleveland, the love of learning and baseball bucket list, and how his last time he was away there might have been a murder in the other room · His meds are causing him to have romantic dreams. He shares a story about his dream with WWE Superstar Charlotte Flair. 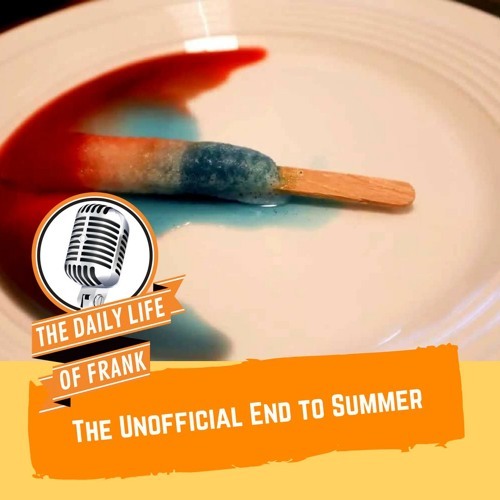 · The comfortable married life and how it includes not killing your wife over gluten free chocolate cake · His daughter is telling fables about school All this and more this week on The Daily Life of Frank!